The strange relationship between Newton and the complex fringes of the Hermeticism of the epoch has long been unknown, and even concealed. The official biographies have mostly kept silent about this side of Newton. Loup Verlet writes of the conditions of the “miraculous” discovery of Newton’s unpublished manuscripts. Put in a stack in 1696 when he was leaving the directorship of the mint in London, they escaped the burning of his personal documents arranged just after his death. They were discovered two centuries later and put up at auction in 1936. John Maynard Keynes won the manuscripts and revealed that Newton was not only the “first physicist” but also the “last magician.” The haul included several alchemical works, the bulk of them now at Cambridge, some at the University of Jerusalem, and others in private collections. According to Verlet, Newton’s known work comprises 1.4 million words relating to theology, 550,000 on alchemy, 150,000 on monetary affairs, and one million on scientific problems. Verlet considers Newton, from a scientific point of view, to have been a coincidence. If he had not lived, the development of the sciences would surely have been delayed, and the work begun by Galileo and Descartes would have been slowed down. But by hiding his secrets away, Newton the magus also hid the alchemical, Hermetic, and esoteric dimensions which elucidated his research. From this point of view, victorious Science made its complex matrix disappear. Alexandre Koyré writes that Newton senselessly brought his most technical work into the realm of questioning regarding “methodological, epistemological, and metaphysical problems.” He explains that historians often neglect this development, getting mixed up over the various editions of Newton’s works, especially his Optics. Was Newton cautious, or truly a heretic? He refuted the purely mechanist positions of Descartes and Leibniz, always remaining at the edge of what was tolerated in religious matters, even attacking his contemporaries for “impiety.” Leibniz reacted on the same terrain, writing in 1715 to the Princess of Wales--who would later be Queen of England--that “Sir Isaac Newton, and his followers, have also a very odd opinion concerning the work of God. According to their doctrine, God Almighty wants to wind up his watch from time to time: otherwise it would cease to move. He had not, it seems, sufficient foresight to make it a perpetual motion. Nay, the machine of God’s making is so imperfect, according to these gentlemen, that he is obliged to clean it now and then by an extraordinary concourse, and even to mend it, as a clockmaker mends his work.” The controversy continued for a long time, mingling theological and scientific arguments in a surprising mixture, often subtle, sometimes of an absolute intellectual perversity. Isabelle Stengers writes that Newton affirmed: “I do not feign hypotheses, I stick to phenomena.” This did not hinder his speculative theories, and placed him in contrast with the “contemplative” Galileo. In his work on the history of zero, Charles Seife highlights the will of Newton, like Leibniz, to use a “dangerous idea,” the idea of zero, to invent differential calculus. Accepting the idea of a number that is nothing and infinite--a strange and terrifying concept emerging before the time of Christ, rejected by all the thinkers of the ancient world, except for the Babylonians who invented this empty space and the Mayans who placed it before 1--the scientists of the eighteenth century used the nothing and gave it substance. Another revolution was in progress: “mystic calculus” appeared. 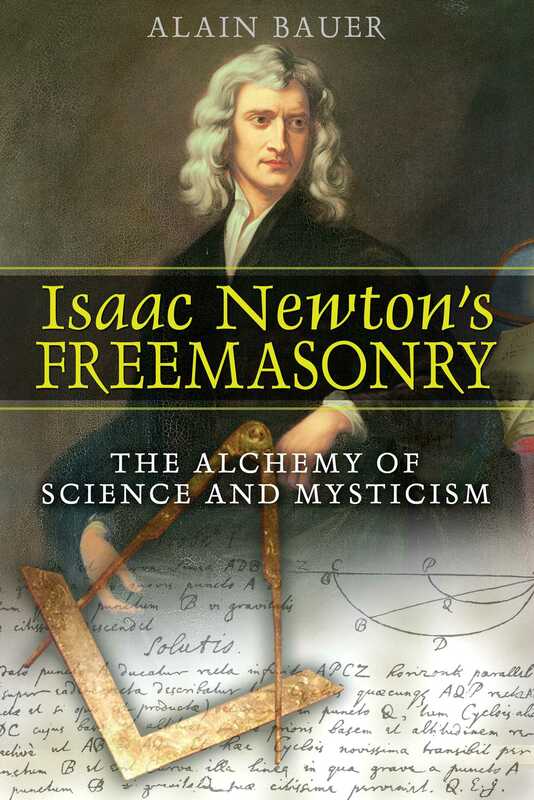 In 1669, according to Richard Westfall, Newton immersed himself in alchemical literature. Betty Jo Teeter Dobbs affirms that “Newton read virtually everything alchemical that had ever been published, and a good many things that had not.” Numerous manuscripts from Hartlib’s circle were copied by Newton himself. His friend Robert Boyle served him as a link to other circles of Rosicrucians and alchemists. Elias Ashmole did the same in writing his Theatrum Chemicum Britannicum (published in 1652). Newton even devised an anagram of his name as a pseudonym (Isaacus Neuutonus becoming Jeova sanctus unus), which allowed him to exchange manuscripts with his correspondents while remaining anonymous, despite widespread speculation. In Newton’s personal archives, a great many manuscripts have been found with lengthy annotations: Philalethes’ Secrets Reveal’d from 1669, Sendivogius’ Novum Lumen Chymicum, Espagnet’s Arcanum hermeticae philosophiae, Maier’s Symbola aureae mensae duodecim, the Opera of George Ripley (the great English alchemist), Basil Valentine’s Triumphal Chariot of Antimony. Most of these are preserved at the Hebrew University of Jerusalem. Newton was fascinated by the transmutation of metals. “Far from seeking to make gold, he sought to understand nature,” writes Jacques Blamont. Newton sought to isolate mercury, a fundamental element. This was probably the cause of his death. Outside this dimension, Newton developed truly heretical ideas. Fascinated by the trinity, he was impassioned by the conflict between the orthodox, led by Athanasius in the fourth century, and the disciples of Arius. Arius believed that God was one, and that the trinity could not be. Newton, according to Richard Westfall, became convinced bit by bit “that a massive fraud had perverted the legacy of the early church.” Newton considered the worship of Christ, in place of God, to be idolatrous. But living in a completely orthodox Cambridge where his own master, Barrow, defended the trinity, Newton did not express his views publicly. ". . . tells the tale of how this famous first scientist envisioned expressing spirituality through the scientific method."